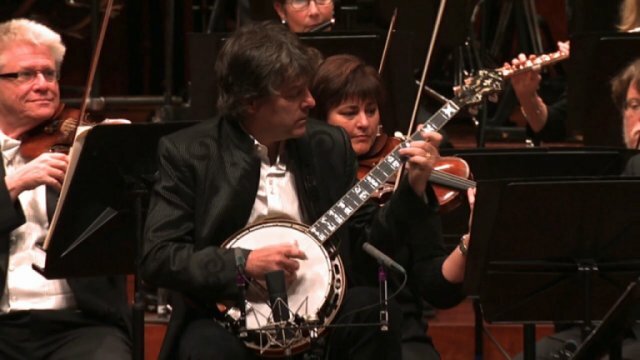 'Béla Fleck: How To Write A Banjo Concerto' follows banjo trailblazer Béla Fleck through one of his most challenging musical journeys so far, into the world of the Symphony Orchestra. Béla is commissioned to compose a major banjo concerto, possibly the first of its kind, for banjo and 80 piece symphony orchestra. It begins before he has written a note, and concludes a year later, with the sold out premiere concert with the Nashville Symphony. A very intimate look at the process of composition and collaboration, "How to Write a Banjo Concerto" features Earl Scruggs, Chick Corea, Edgar Meyer, Chris Thile, Zakir Hussain, Abigail Washburn and other close musical friends of Béla's. The film also digs into 'father issues', with Béla being named after classical composers by an absentee father. Composing this piece forces Béla to confront these issues.